The Sayyida Zainab area is primarily renowned for the shrine of Sayyida Zainab and the rallying of Shi'a fighters on the grounds of defending the shrine during the civil war. But what was it like to grow up in the area and live through the early days of the civil war there? 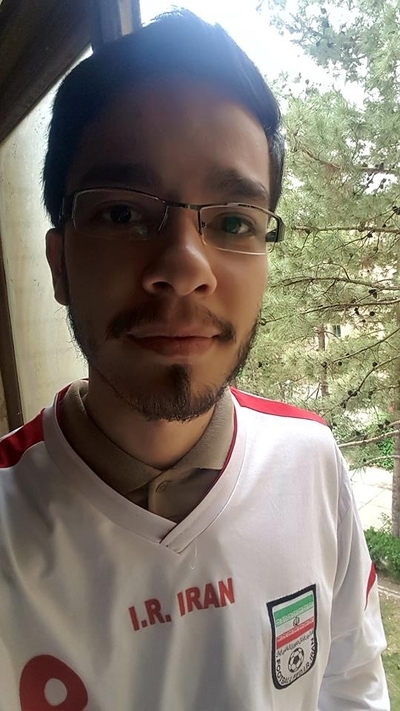 Today's interviewee is my close friend Jaafar Fadily, who currently lives in Iran and studies English at the University of Qom. I myself help him learn English through regular conversations. Jaafar's father, who was born in Iraq, is of Afghan Hazara origin, while his mother is of Lebanese origin. Jaafar left Syria for Iran in late 2012 and has lived there ever since. Note: the interview was conducted on 21 July 2018. My friend Jaafar Fadily in Iran. Q: Describe in detail your family background to me. Your father's origin, your mother's origin and how it is that you were born in Syria. A: Yes, my father is originally from Afghanistan, however he was born in Najaf, Iraq. My mother is from Lebanon, and they met each other at the Sayyida Zainab shrine in Damascus and lived there. I was born there in 1994. Q: Why was it that your father came to Syria from Najaf? A: My grandfather decided to flee Najaf because at that time Saddam Hussein forced some people to flee their home. Q: So your grandfather fled with your father to Syria? Do you remember what year? Q: Why was your mother in Syria when she met your father? A: She was on ziyara [pilgrimage] as many people do. Q: Pilgrimage to Sayyida Zainab? Q: What was life like in the Sayyida Zainab area before the war? How did you find life in Syria? A: Well, Sayyida Zainab was in [Damascus] countryside, and when you talk about countryside it's obvious that it's a poor area in comparison with areas in the capital, so people were angry at the very beginning before the war. Q: What were the main problems in the area? Lack of electricity and water, for example? A: No, water and electricity were good to satisfy people, but the streets were bad, and you can see garbage everywhere and lack of job opportunity. Q: So roughly how many hours of national grid electricity were there each day? A: Almost all the day but occasionally one or two hours were cut. Q: So electricity was good. And water was always available? A: Yes, always 24 hours a day. Q: But the municipal services were not good? A: Some people suffer from it according to where they live. For example, we have some streets in which Palestinians live, so the authority did not care a lot about it. Q: Yes, so garbage was collecting in the streets. A: Yes you could see a lot of it. Therefore the sickness spread in the area. Q: Besides the Palestinians, who were the other main foreigners in the Sayyida Zainab area before the war? There was a Hazara community in the area, right? A: Yes, we have around 70 families of Hazara who lived in Sayyida Zainab. Moreover, dozens of Iraqi people came to live in our area that was after the Iraq war in 2003. Q: How did these Hazara come to Syria? Did they flee Afghanistan during the Taliban rule? A: Some of them. The others were like my grandfather's family. Q: Yes so they came from Iraq during Saddam Hussein's rule in the 1980s. Q: Were there any Iranians or Pakistanis living in Sayyida Zainab before the war? A: No, they came there just for pilgrimage and then returned to their country. Q: I see. Is it fair to say Iran invested a lot of money in the Sayyida Zainab shrine to attract more people to visit it? A: No, that's not fair. Before the war all the heads of the shrine were from Syria, but now there are some Iranian supervisors in the shrine and people believe that all the shrine is controlled by the Iranians. Q: Sure but I mean before the war did Iran invest money to renovate and develop the shrines in Sayyida Zainab and elsewhere? A: Yes, there is no way to fund other than Iran. Q: Was the Sayyida Zainab shrine used as a means of da'wa? As in, were there efforts to convert nearby people like the Palestinians in the area to Shi'i Islam? A: No no, they conduct some ceremonies in Muharram and for ziyara, that's it. Q: Yes, so you are saying proselytisation efforts were avoided? A: Not avoided, but they did not exist at all. Q: Yes that is what I mean. So despite all the pilgrimages to Sayyida Zainab area economic life was generally not good? A: Yes like the areas in Iraq, Najaf and Karbala': every year there are millions of pilgrimages but the situation in those areas is very bad. Q: The scale of pilgrimages did not create job opportunities? A: Yes for example some hotels were built and other resorts, however the situation was still bad. There is a world of difference between Mazzah and Sayyida Zainab or those areas in which officials live. Q: Describe some of the differences between Mazzah and Sayyida Zainab. A: So when you go to Mazzah you can easily find a BMW car, and the streets are clean, with a lot of embassies there, with a lot of European brands. Q: You mean European brand goods? A: Yes, like Nike, Zara, Adidas. You can't find a store in Sayyida Zainab that sells iPhone 8 for example, but you can easily find one in Mazzah. Q: I see. So is it fair to say that before the war the Syrian government faced a lot of challenges from unemployment and displacement due to climate change and environmental degradation, right? A: Oh no, not climate change, but the authorities did not care about the poor areas, that's it. Q: And when you say poor areas that includes Sayyida Zainab? A: Almost all the areas in countryside are not important in the government's eyes. Q: Yes so that includes Sayyida Zainab. A: Yes. However, Sayyida Zainab is better than Hajera for example. Hajera is next to Sayyida Zainab. If you go there you can find dust and dirty water and so on. Q: Why was Hajera worse than Sayyida Zainab? A: There were no Syrians who lived there. About 90% of that area is inhabited by Palestinians. There are no hospitals in that area. Q: I see. Roughly speaking was Sayyida Zainab area majority Shi'a before the war? A: Yes after the Iraqis came. I can say there were 90% Shi'a. Q: When you say 90% Shi'a the remaining 10% were the Palestinians in Sayyida Zainab? A: Not only Palestinians but other Syrian people. Q: Was the Palestinian camp in Sayyida Zainab very big? Or most of the Palestinians were in Hajera as well? A: No actually the Palestinian camp was in Yarmouk, but the Palestinians lived in Ghorba street for example and Hajera as well. There is no camp for Palestinians in Sayyida Zainab, but rather some streets, that's it. It [the Yarmouk camp] was big and a good area to go for people with low wages. I remember when I wanted to buy my school clothes, I would go to the Yarmouk camp. Q: In 2011 were there protests against the government in Sayyida Zainab and Hajera? Q: Were there pro-government rallies in Sayyida Zainab area? A: Yes. Sometimes the boss at school told us there would not be courses today. Let's gather and go to the rallies. That was in 2012 actually, because in 2011 the situation was bad in Homs and Deraa. Q: Were the Iraqis participating in the pro-government rallies too? A: No, they don't care. Q: Would you say the initial protests in 2011 had legitimate grievances behind them? A: Yes absolutely. But the government did a lot of bad things. I think if it did not kill anybody and fixed its problems, that was fine for the people. In every country there are protests even in London after Brexit for example, but the government of that country should treat the matter wisely. Q: So you are saying the Syrian government did not respond well to protesters? A: They responded badly by killing and that increased the anger of the people. Q: Yes. Would you say the violent response was the main reason the protests became an armed insurgency? Or foreign support for protests led to insurgency? A: Not foreign. Initially there was not foreign support. People cut the main streets, forced others to close their shops. Strike. And that was faced with a heavy crackdown. A: Initially there was a lot of sectarian fitna in Sayyida Zainab. A: In 2012. For example if your name was Ali, Kadhim, Ridha and so on, you should go to the stand as the last one to take bread. Q: But wasn't Sayyida Zainab majority Shi'a? Why would they discriminate against people with Shi'a names? A: Yes, but we have to go to Hajera to buy good quality bread. Q: Oh I see what you mean. So protesters were discriminating against Shi'a. A: Yes and I showed you the photo when they wanted to bombard the Hussainiya near my grandfather's house. Q: When did Hajera fall out of government control? A: I think in the middle of 2012, June or July 2012. Q: How come you had to go to Hajera to buy good quality bread? No good ovens in Sayyida Zainab? A: Yes, no good ovens. There were shops [in Sayyida Zainab] which brought bread from the capital's ovens, but the good and cheaper one was from Hajera. In Hajera there was a very good oven, with cheap price, and more delicious. Q: I see. But by summer 2012, Hajera was under insurgent control. A: Yes I remember I didn't go there after my school was finished. And my school finished in June. Q: When did mortars and rockets start to fall on Sayyida Zainab? A: In September or August 2012. Q: When did people start to mobilise in Sayyida Zainab to defend the shrine? A: In late 2012, and thanks to Hezbollah for that. Q: But also some of the Iraqis living in Sayyida Zainab were involved, right? A: No, not at the beginning, but when they lost their jobs, they found out their duty is to defend till the end. Q: I mean did they not get involved in efforts to mobilise to defend the shrine in 2012? A: A few of them. Q: Like Ahmad Haji al-Sa'adi. A: A lot of them travelled to Iraq because they didn't have a lot of possessions in Syria. Q: So a lot of them initially fled back to Iraq. Q: But some stayed behind and mobilised to defend the shrine. A: Yes, the young people. Because there were a lot of elderly people- Iraqis- and they had some sickness and could not afford that situation. Q: What month did you leave for Iran? A: 27 November 2012, that's the date. Q: Are you hoping to return to Syria when the war dies down? A: Yes actually after the capital is safe you know. Now people in Damascus feel there is no war. Q: But right now you think the economic situation and quality of services don't allow you to return in the near future? A: Yes, that's the real problem besides lack of job opportunities. Q: Did you always support the government during the war? Or did you initially feel some sympathy for the protesters? A: Yes I did [support the government], because I know the protesters did the protest wrongly. Actually they just added fuel to the fire. Q: Could you clarify that? Who added fuel to the fire? A: Yes, they destroyed public property when they protested, forced people to close their shops, kidnapping and stealing after midnight. Q: This was in 2012? A: In late 2012 and the beginning of 2013. At 2012, they protested every Friday and called it a specific name for example Friday of Rage. There was a Friday of March Towards The Capital: at that time the situation got worse. Q: But by mid 2012 the protests in Hajera became armed groups right? And they expelled the government from the area. Q: So in your view the government responded badly to initial protests but protests made mistake by becoming armed groups. A: The protesters didn't have choice other than becoming insurgents. Q: You mean they had to become insurgents because of government's violent response to them? A: Yes, because the government did not respond to their demands. The bosses of the government order the soldiers to open fire at the protesters. Do you imagine that? Q: Yes. But you are saying insurgents committed criminal acts too, and this made things worse. A: Yes, 90% of protesters were bad and when they find out the government would not respond to their demands they started acts of vandalism. They burned cars also. Q: So you would say both sides were at fault. Q: But in the end government is preferable because of extremists and criminals in insurgents? A: Absolutely. People in Syria don't want to see someone like Ahmad al-Jarba who takes orders from the U.S. to become president in Syria. Q: So to sum up. Initial protests had reasonable demands. Government responded badly to them so they became insurgents, but problem is insurgents became extremist and criminal in conduct. Right? A: Yes, and you remember the extremist who sent his 8-year-old daughter to bomb the police station in Midan. After that explosion he appeared in video saying I've sent one of my girls to heaven, and I will send another one soon. How could you react when you see this? That person was an amir so do you accept people like these to take office? Q: I see, yes. Also I guess the sectarian fitna even before the insurgents took over Hajera was a big problem. A: Not only in Hajera but all over Syria. Q: Yes, and foreign support for insurgents became big problem? A: Yes, they supported them with heavy weapons. And the insurgents could have killed Bashar al-Assad in 2013 and invaded his palace, but [it was not so] thanks to Iran and Hezbollah intervention in the war. That's what my Syrian friend told me 3 days ago when he came from Syria. He lives here in Iran. Q: Yes. Overall do you think Bashar al-Assad is a good president? Many say he is a war criminal. A: No, but there is no suitable person at this time to take his office. Q: So he is not a good president. Q: But problem is no alternative. A: Yes. But now people love him. And you see he was in Hama two days ago. My friend took a photo with him. People gathered around him to take photos. Q: Yes, bu they only love him because there is no alternative, not because they think he is brilliant. A: But the problem is, initially you could not distinguish between your enemy and your friend, when the aircraft bombs an area, they use the technique of scorched earth. Q: Who uses this technique? Q: You do not approve of it? A: No because there were a lot of innocent people.